Vacationing in in the Clearwater Beach and St Pete Beach area comes with a lot of options for activities. We’ll be honest, there is little need to leave the beach areas to have a fulfilling vacation on the Central Gulf Coast of Florida. However, we also understand the family dynamics that occur on a trip away from home. Sometimes a family member has a passion that is better fed than ignored. 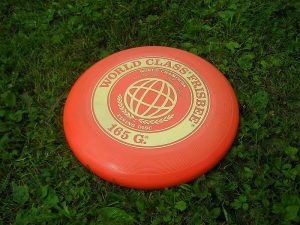 If your family includes a disc golf player, they might get a thrill from the following Frisbee golf courses. Closer to the southern end of the beach strip, which includes St Pete Beach is a golf course called Youth Park disc golf course. The 18-hole course is fairly central to the city of St Petersburg, Florida. That means getting there from the beach may be a bit of a challenge, but nothing you can’t handle with a GPS. This course is set on a flat green lawn with a reasonable number of obstacles in the form of trees and water. This course is the easiest of the three, the water being in the form of a tiny lake. The park is in a bit of a warehouse district but has large grounds of its own that include soccer fields and baseball diamonds. The course is the easiest of the three we’ll cover in this blog. The risk of losing your disc is not very high unless you go into the lake. The signs surrounding the lake describe why you don’t want to retrieve your relatively inexpensive toy. Alligators live in the lake, making disc retrieval a less than scrupulous option. Most of the course is away from the lake, however, making for straight golf without worries. See this link for tips on how to safely manage areas that have alligators. The second park on our list is John S Taylor Park. Taylor Park is a lot more than just a disc golf course and has plenty to entertain the those who aren’t playing gol,f like walking trails, picnic areas, and a playground. This is an 18-hole course that is fairly challenging. It has lots of trees and runs along the edge of a long, very large lake. And yes, you guessed it, large lakes in Florida mean alligators. Again, retrieving your disc once it hits the water is not recommended, even if its near shore and you appear to be alone. So, yes, our Florida disc golf comes with some challenges absent elsewhere. That natural obstacle aside, the course is a lot of fun to play. Further, Taylor park is a nice place to relax. If you want to enjoy a bit of manicured Florida outdoors, it is an excellent choice. 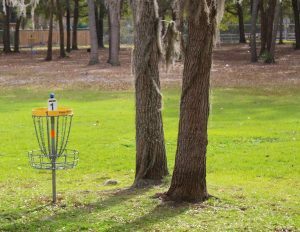 The third disc golf course we will take you to is located in Hammock Park. The word hammock refers to oak trees growing up into canopies that are nice to walk under. This park is in a forest and has a bit of water, though less than all the other courses. The multi-use paths also intersect with the course a bit so you have to watch your shots for moving obstacle. The course can be used as an 18-hole course but there are only nine baskets. Hammock park is moderately developed and so don’t expect too many thrills. It’s a nice natural space, however, and is very pleasant to walk, bike, and, of course, play disc golf. 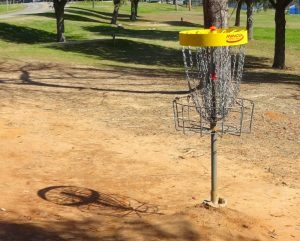 Our fourth disc golf course is located at Northeast Coachman Park. This course has a few creeks running through it, one of them Alligator Creek but the water doesn’t interrupt the play like other courses on our list. The challenge at Northeast Coachman Park disc golf course is the trees. The course is placed within a manicured forest. While the fairways don’t curve much, there’s no room for error if you go outside the lines. A bonus on this course is that the Clearwater Disc Golf Store is right across the street. This park is also very close to the next course. The last park on our list is the oldest. In fact, Cliff Stephens disc golf course claims to be the second oldest course in the state, dating back to 1986. Isn’t that around when disc golf got started? The challenge rating on this 25-basket course is difficult. The park has a lot of trees and numerous water obstacles. It is also a fantastic place to view wildlife. Great horned owls nest in the park, so be prepared to see plenty of photographers in the spring – or any time really. The park is very scenic, has a railroad track running past it and is across the tracks from Moccasin Lake Nature Park where rescued wildlife can be viewed. Because of the large amount of water obstacles which includes Alligator Creek, golfers rate this course high on the list for not-going-into-the-lake-after-my-disc. Of all the parks mentioned here, Cliff Stephens is the most scenic. It also has picnic areas, well-made walking and biking paths, and viewing decks over the water. All of the courses provide the opportunity for shade, some of them, like Northeast Coachman Park and Hammock Park are almost all under trees. Shade is a good thing in Florida, especially in the hot summer months. All the courses are away from the cooling sea breezes and so it can get very hot. You should take some water with you. The courses also share multi-use park land that has numerous thing to do for families, Northeast Coachman Park being the least versatile and Cliff Stephens the most. For those who enjoy disc golf, one or more of these courses should serve well while giving the rest of the family something to do in the meantime.